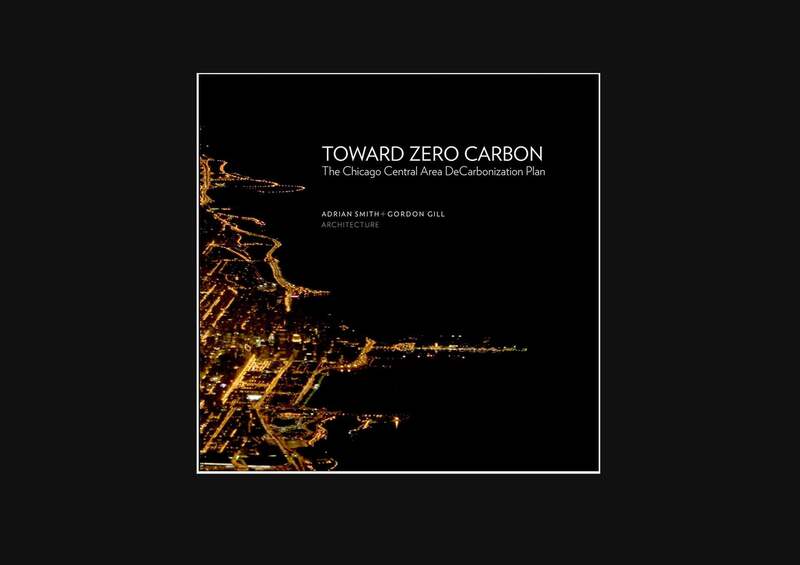 Images Publishing Group has released Toward Zero Carbon: The Chicago Central Area DeCarbonization Plan by Adrian Smith + Gordon Gill Architecture. The book is the final published form of AS+GG’s comprehensive vision for helping Chicago reach its carbon reduction goals in the downtown Loop. Toward Zero Carbon describes the DeCarbonization Plan’s methodology for meeting the goals of the Chicago Climate Action Plan, which would mean a 25% reduction in carbon emissions below 1990 levels by 2020, and the 2030 Challenge, which set a goal of 100% reduction in carbon emissions for new and renovated buildings by 2030. In creating the DeCarbonization Plan, the AS+GG project team developed a database (energy use, size, age, use, and estimated carbon footprint) of more than 450 buildings. The team used that database, tied to a 3-D model, to develop the DeCarbonization Plan, which interweaves energy engineering, architecture and urban design. In the DeCarbonization Plan's synergistic approach, eight key strategies—addressing buildings, energy, infrastructure, urban matrix, transit, water, waste and community engagement—work together with a parametric model. The project also includes an examination of government and private funding resources for decarbonization initiatives. Earlier this year, the DeCarbonization Plan won the American Institute of Architects Honor Award for Regional and Urban Design. In 2010, the DeCarbonization Plan won Architect magazine’s R&D Award and the World Architecture News Urban Design Award. While the DeCarbonization Plan specifically addresses conditions in Chicago, it is also adaptable to other cities worldwide.